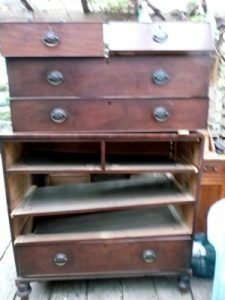 Here at Megarry’s we can give advice on Antique restoration in Blackmore, we understand and appreciate those unique passions we all feel for treasured possessions whether it be a valuable historic family heirloom, or simply a much loved household item. This is why here at Megarry’s antique and teashop we pride ourselves on being able to advise customers with contacts who can help with restoration expertise to bring each piece back close to its original condition. 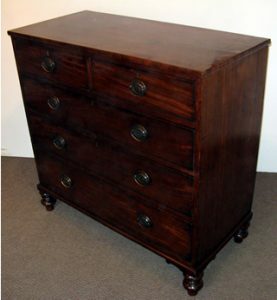 Furniture can be over restored by inexperienced restorers which spoils the patination, so ask Megarrys for advice before you attempt to restore an item. We can provide you with contacts who are expert restorers. China,Glass,Porceline-Judith also has contacts who can restore a variety of materials including China, Glass and porcelain. ]If you require restoration service give Judith a call and she will be able to advice you who to contact for this service. Call Megarry Antique and teashop on 01277 821031, or 822170.